You can initiate an online search, ask a friend or neighbor, you could check out the yellow pages or you can use some of the pamphlets or fliers that local locksmith services would drop in your mailbox. Some locksmiths have even taken to email marketing so you might find their promotional newsletters and free consultations in your inbox. Whichever route you take to find locksmith services you would need to invest some time in assessing the profiles so you can choose the best one. 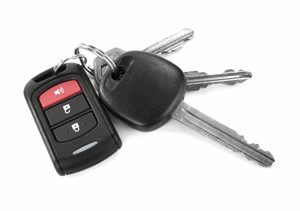 Is the locksmith licensed and bonded? Is the insurance valid and sufficient to cover damages should any be caused at your home, office or in your car while the installation, repair or replacement is being carried out? You may even want to opt for a local locksmith, based not very far from your home or office. Check the experience of the locksmith. Nothing short of five years or so would do. A locksmith who has thirty years of experience is not necessarily better than one that has ten years of experience but a substantial time in business is necessary to know that the professional has actually worked in a myriad of circumstances offering a plethora of solutions. Do not hire someone first and then discuss the quote. Do not hire any locksmith who would charge you regardless of the service catered and whether or not the problem is fixed. You should also check the availability of the locksmith services. You should deal with those who have 24/7 availability with a brisk turnaround time. The turnaround time or the immediate response should be within twenty minutes or so. A few minutes here and there would be acceptable given prevailing traffic and other factors beyond human control but one cannot wait for an hour when there is an emergency. That pretty much goes without saying. What matters most in the end is the expertise of the locksmith to deliver the service you need. You will need residential, commercial and auto locksmith services from time to time. From supply to installation, repair to replacement, upgrades to rekeying and several other tasks would demand attention and the locksmith should be able to deliver in each of these situations.